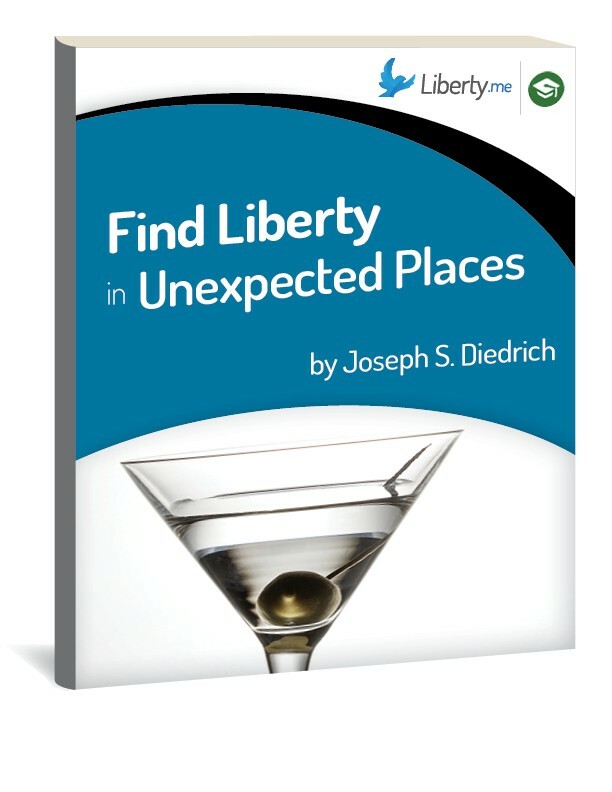 This show is part of the release of Joe Diedrich’s new guide, Find Liberty in Unexpected Places. Join Joe and Jeffrey Tucker to talk about finding freedom in an unfree world! Where is liberty? Joseph Diedrich contends that it is absolutely everywhere. Its wonder permeates every aspect of our lives. Join Joe as he finds “continuous, sprawling beauty” in dating apps, candy bars, and of course, his favorite cocktail. The light of liberty lives in ordinary things … if you’re brave enough to look. If you haven't seen this show yet, what on earth have you been thinking? You definitely need to make up for that by tuning in this week. Join Scott Horton and FFF founder Jacob Hornberger and chat about the latest liberty happenings! Get ready to rumble with another smashing edition of We the Individuals LIVE! Tonight's guest is Dan Sanchez, head of Mises Academy and writer for Antiwar.com. Join some of the most beloved libertarians around and chat about the things that really matter. Topics covered include war and political hypocrisy and thick vs. think libertarianism. Go find your galoshes and slip 'em on because Unbiased America is about to rain down another thunderous LIVE show. Tonight's guest is Walter Block, who needs no introduction. But if you want to get ready, you can read his blog here. Don't miss it! Students for Liberty's Regional Conference in Montreal is coming up soon! Tune in and chat about the event during this special edition of SFL LIVE with Leo Plumer and Steve Horwitz! Jump in with the experts and chat about The Future of Freedom! Join FFF founder Jacob Hornberger and liberty radio host Scott Horton for a downright delightful show about Jacob's latest musings. See you there! The SFL regional conference conference season is here and we want to share what they're all about! Tune in for an absolutely insightful discussion about the Northern California Region Conference with Karrie Comfort, Nathan Fatal, and Kevin Suarez. Jeffrey and Naomi talk micronations and liberty spaces around the world. Is it possible to live freely in today's regulatory climate? They will cover Honduras, Hutt River, Liberland, and Seasteading. Join the conversation! Catch another edition of SFL LIVE with a special focus on the organization's regional conferences! This week's stars are Theryn Meyer and Karen Straughan and they'll be chatting about the Vancouver regional conference. Theryn is a Campus Coordinator from Simon Fraser University. Tune in! Ladies and gentlemen, we present to you: The Future of Freedom starring Jacob Hornberger and Scott Horton! Tune in for yet another crazy and exciting show with these two fantastic personalities! It's hump day! And you know what that means: another episode of Unbiased America LIVE! This week's guests are the leftist, socialist arch-nemeses of the Unbiased Americans: Carl Gibson of US Uncut and Omar Rivero of Occupy Democrats. Sparks are sure to fly! A third evening in a row with Jeffrey Tucker on Liberty.me LIVE? I am totally down for that! Plus Scott Horton? Could there ever be a better show? Tune in for another Eye on the Empire with these two outstanding liberty stars! Jacob Hornberger, founder of The Future of Freedom Foundation, writes some simply outstanding articles almost daily. Scott Horton joins him every week on this show to chat about his latest masterpieces. Tune in and share your own thoughts! It's that time of the week again! Unbiased America is back for another wild and wonderful show. This week's guest is Adam Freedman, author of A Less Perfect Union. Freedman also considers himself an advocate for constitutional originalism, small government, less regulation, individual liberty, and respect for life. Tune in for an exciting interview! Sheldon Richman and Lucy Steigerwald understand liberty like Steve Irwin understood crocodiles. They're masters, plain and simple. This week, we turn to realism, utopianism, and guns. Check out Sheldon's article on the tragic Umpqua Community College shootings. Everyone's Thursday night could use a little extra Scott Horton and Jacob Hornberger! Tune in with these two amazing liberteers and enjoy an exciting discussion! Tune in for a special SFL LIVE show hosted by Rebecca Kallies! This week, Jeffrey Tucker will join her for a fantastic discussion. See you there! Speaking of SFL and Jeffrey Tucker, he'll be speaking at the Alabama regional conference on October 17th! How many superstars does it take to make an outstanding LIVE show? Just two if they're Sheldon Richman and Lucy Steigerwald! Tune in for another edition of Free Association! Be sure to freshen up on Sheldon's latest posts too! Join the legend, Walter Block, for an exciting show that you can help create! Your questions will guide the talking points so make sure your keyboard is greased! This event will be hosted by the one and only Mike Reid. Jacob Hornberger, the founder of The Future of Freedom Fountation, is back to share his valuable insights on all sorts of liberty topics! He'll be joined by Scott Horton and those topics will be determined by Jacob's most recent articles. Tune in! The boys are back in town. Catch another Unbiased America LIVE with Will Ricciardella and friends!! They'll cover the latest liberty news and provide an endless flow of opinions. This week's special guest is libertarian superstar Tom Woods from The Tom Woods Show! See you there! It's just plain impossible to get enough of these guys. We scrounged the depths of the interwebz to find these flawless liberty personalities and the search definitely paid off. Tune in with the team from Unbiased America and you'll understand why! This week's special guest is Kevin Holian-Borgnis, a board member of the Second Amendment activist organization and the Connecticut Citizen's Defense League. See you there! The ultimate internet personalities are prepared to take over your screen with another whirlwind edition of Unbiased America LIVE! Tune in this week with special guest, Julia Erynn. She's currently the Chief Capitol Reporter and Anchor for Alpha News and she used to be Miss Minneapolis! Come and enjoy another outrageously enjoyable episode of Unbiased America LIVE! This week's special guest is Wayne Allyn Root, a Libertarian nominee for Vice President! Topics will include Donald Trump, Root's book The Power of Relentless, libertarian purism, Gary Johnson, Rand Paul, and TONS more. Sheldon Richman and Lucy Steigerwald make the perfect pair for any liberty webcast. Tune in for another edition of Free Association chalk-full of powerful insights! This time, Sheldon and Lucy talk about ISIS. Is its horrific rise in the Middle East a good reason for more American invasions or drone strikes? Is there a libertarian answer to a threat like ISIS? And where did ISIS come from anyway? Tune in with Norman Horn for an AWESOME discussion about Christianity and Liberty! How should the two ideas co-exist? 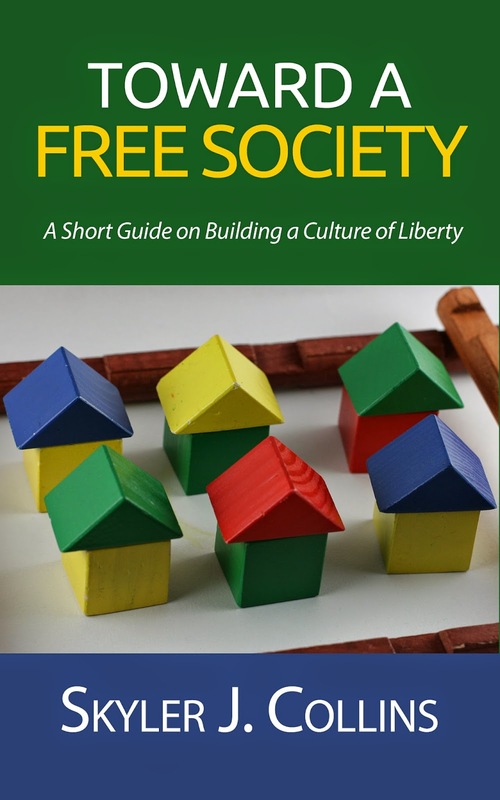 Make sure you also check out the Liberty.me guide, Defend Liberty in the Church! After this interview with Allen West, the awesome dudes from Unbiased America will jump back on the air for more discussion! Tune in to hear their thoughts and a whole lot more. Join the team from Unbiased America for an interview with Congressman Allen West! This segment will be relatively short, but make sure you tune in at 8PM Eastern for the rest of the show and more thoughts on the interview! Join several student leaders from Students for Liberty for another exciting SFL LIVE show! They’ll share all sorts of liberty opinions from the unique perspective of students. This week's topics will include Donald Trump, the stock market, #BlackLivesMatter, New Year activism, and much more! For more from SFL, check out their Liberty.me blog. Ladies and gents, it's time for another out-of-this-world episode of Eye on the Empire. Join Scott Horton and Jeffrey Tucker for a LIVE liberty show that will knock your socks off. See you there!! Godfrey Bloom, former member of the European Parliament, will join the Bitcoin Couple to discuss liberty in the UK. In 2013, the UK Independent Party (UKIP) withdrew the whip from Bloom after the “Bongo Bongo Land” controversy. Guests will be able to ask Mr. Bloom questions during the interview. Would you like to meet the President of Liberland, Vít Jedlička? Join us on Liberty.me to participate in a discussion with the President. Join the Bitcoin Couple, Andreas Kohl-Martinez and Demelza Hays, for an exciting discussion about Vit's ambitious project! We all want to be free. And we all should be. Tune in with Sheldon Richman to talk about why and how! His usual co-host, Lucy Steigerwald, won't make it this week, so Jeffrey Tucker is filling in! Plus, Sheldon's bearded perspective will still be quite present. Kal Molinet returns this Tuesday to brighten your screen with lots and lots of liberty! Tune in to talk about all the reasons we hate the state with special guest, Panxer! Join the world's most sensible hosts, Sheldon Richman and Lucy Steigerwald, for another perfect episode of Free Association! This week, the two grand masters will be chatting about the Iranian nuke situation, Israel, and U.S. hegemony. THE Jeffrey Tucker returns to a screen near you for another installment of Liberty Classics! The classic of the week is The Art of Being Free by Wendy McElroy. 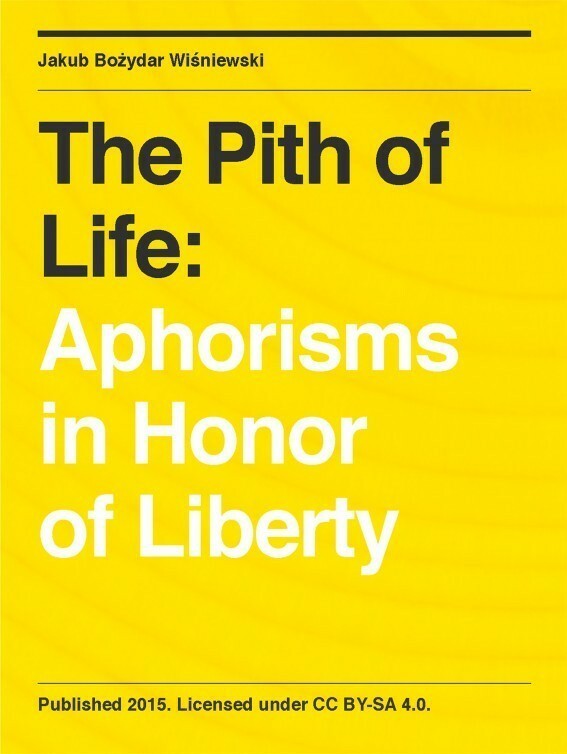 This is a book on the current state of freedom, by one of the great thinkers and essayists of our time: Wendy McElroy. But it is unlike any you have ever read. It deals with the current crisis in a way that no one else does. It has deep and fascinating research on all the main issues we face: the loss of security in the name of security, the state’s role in strangling economic opportunity, the petty central planning that has regimented every aspect of life, the loss of basic civil liberties. Join the most beloved liberty-lovers on the planet for another endless foray of excitement. Will Ricciardella and friends will chat about recent news, freedom-minded philosophy, and more. This show is for all you anarchists, as our guest, Whitney Davis is a well-known anarchist and outspoken activist. Watch as she dismantles our resident minarchist, Will Ricciardella. Plus we'll be announcing some exciting news. A big new project is in the works, and we think you'll like it! So join us for what promises to be a great show. Gary Galles, the author of Lines of Liberty, talks with Mike Reid about some of the greatest libertarian quotes in history! We also discussed the inspiration for the book, the madness of political correctness, the heroes of liberty, and how many famous quotes are really plagiarized. Sheldon Richman and Lucy Steigerwald know their stuff when it comes to freedom. Tune in this week for more wisdom from two of the greatest liberty lovers around! This week's topics will include the NSA/surveillance, what an ancient medieval document can tell us about libertarian strategy, and more. Tune in! Come join us for a celebration of Tom Liberman's book, The Broken Throne! This event is open to the public. Nonmembers can sign up here. Is it better to rule in Tyranny or live in Freedom? The great capital of the Empire fell a thousand years ago and all that is left is a broken city filled with monstrous creatures guarding an ancient symbol of power, The Broken Throne. The people of Stav’rol believe they are destined to retrieve the throne and rebuild the Empire. They believe the human race is superior but have thus far failed in every attempt to pierce the guardians of Das’von. Now a great Sea Giant is sailing north hoping to use the throne and the legitimacy it gives him, to rebuild the Old Empire in his name. The Guide of Stav’rol cannot allow this to happen and sends one of the finest young warriors in the nation to infiltrate the crew of the unstoppable warship and sail with them to Das’von. Once there Dietrich is to betray the Sea Giant and turn the throne over to the Guide. Things are not always as simple as they sound and a taste of freedom can turn a man against everything he has ever known, or can it?